In the early days of the Church, pioneers came to Utah Territory from Denmark, Sweden, Norway, England, Scotland, and other countries. Many traveled by covered wagon; many walked, pushing handcarts. Once in Utah, they found it hard to understand each other. And English, with its many inconsistencies, was difficult to learn, especially in its written form. President Brigham Young wanted to help these people to adjust more quickly to their new life, so he turned to his secretary, George D. Watt. 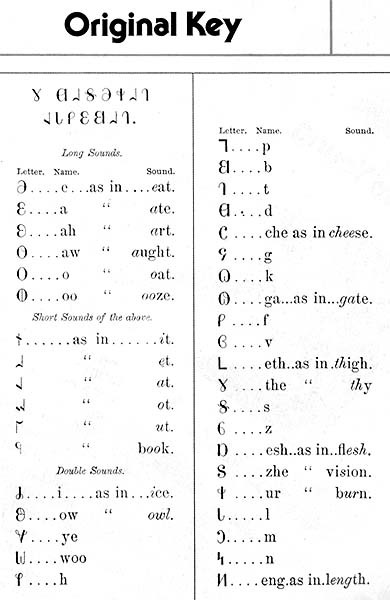 Brother Watt, who had been baptized in England in 1837﻿—in fact, he was the first person to be baptized into the Church in England﻿—had learned Pitman shorthand, or phonography as it was called then. When he arrived in Salt Lake Valley in 1851, he taught shorthand at the University of Deseret. 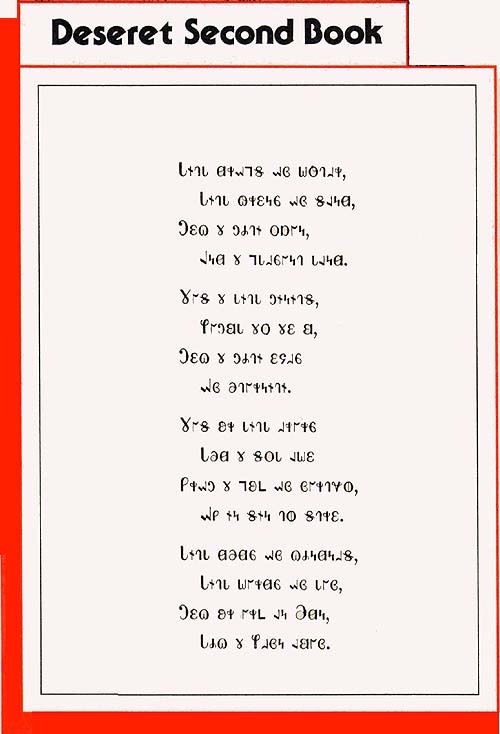 About that time various people in Great Britain and the United States were trying to create a phonetic alphabet in English. 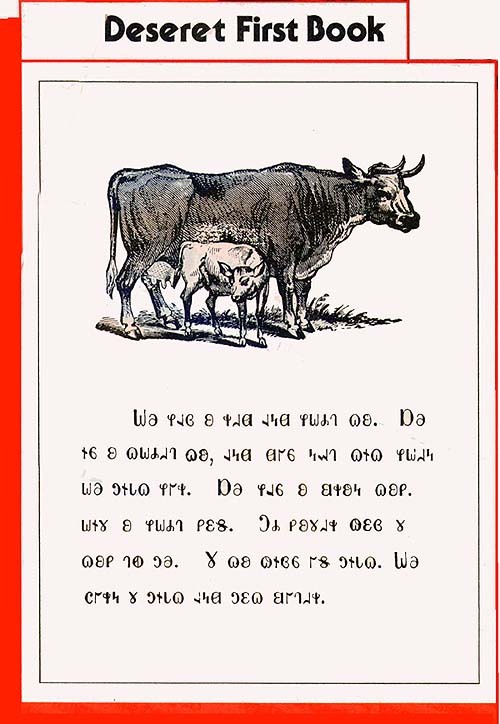 Their efforts gave Brigham Young an idea: If the shorthand his secretary used was made up of characters based on sounds, a phonetic alphabet with new symbols would make reading easier for everybody, including those who already knew English. President Young appointed George D. Watt and others to devise the new Deseret alphabet. Its characters were to be so much simpler than those in the Roman alphabet that one would not have to learn to print one way and write cursive another. In fact, an ordinary person using the alphabet would easily be able to write one hundred words a minute. Every letter would have a specific sound, and every word would be spelled just like it sounded. The letters C, D, L, O, P, S, and W of the Roman alphabet were retained, but most of them were given new sounds, and thirty-one characters were added. Beginning February 16, 1859, and for some time after that, the front page of the weekly Deseret News was nearly covered with articles written in the Deseret alphabet. In 1860 “Holiness to the Lord” was inscribed in the Deseret alphabet on Deseret gold pieces. For at least a year Brigham Young’s account books were kept in the Deseret alphabet, and a New York firm printed five hundred copies of the entire Book of Mormon in it. Deseret University regents published ten thousand copies of each of two textbooks, Deseret First Book and Deseret Second Book. In 1869, the year after the textbooks came into use, the transcontinental railroad was finished. The railroad brought many people into Utah who were not members of the Church, and interest in the alphabet project died.